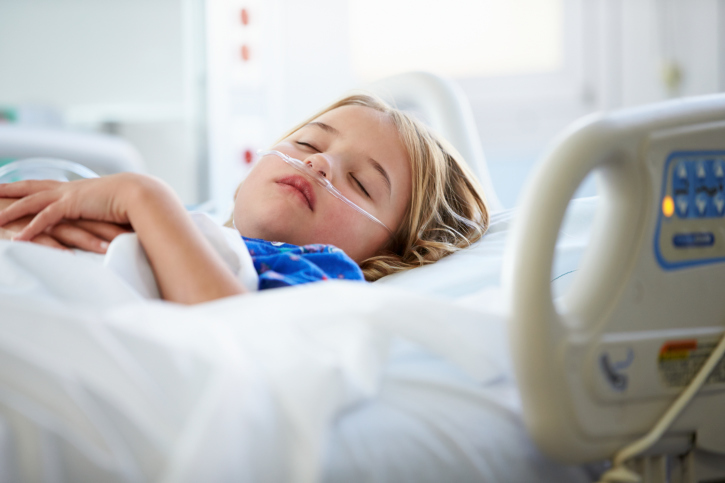 Short-term incidence of leukemia, lymphoma, and brain cancer may be higher in children who were hospitalized with pneumonia. Children hospitalized with pneumonia may have a higher short-term incidence of developing leukemia, lymphoma, and brain cancer with a persistently increased risk for brain cancer and non-Hodgkin’s lymphoma after 5 years, according to a study published in BMJ. Researchers identified and prospectively followed (median, 10 years) 83,935 Danish children (boys, n=47,650; girls, n=36,285) age 0 to 17 diagnosed with pneumonia in an inpatient, outpatient, or emergency room setting, with no history of a cancer diagnosis. The average age was 1.5, with a diagnosis of pneumonia made in 89% of the children during an inpatient hospitalization. The purpose of the study was to determine the absolute and relative risk for a diagnosis of leukemia, lymphoma, or brain cancer in children given a hospital-based diagnosis of pneumonia compared with children in the general population. A total of 168 cancer diagnoses were made in the study population, with 37 children diagnosed within the first month and 43 during the first 6 months following their pneumonia diagnosis. The absolute risks for developing leukemia, lymphoma, and brain cancer within 6 months and 5 years after developing pneumonia were 0.05% and 0.14%, respectively. The standardized incident ratios (SIR) were higher in girls, children diagnosed with immunodeficiencies or congenital malformations, and 2-fold higher in children up to age 14. The SIR for lymphoid leukemia was 6.2 (95% CI, 3.5-10.3), 14.8 (95% CI, 6.0-30.6) for myeloid leukemia, 60.8 (95% CI, 26.2-120) for Hodgkin’s lymphoma, 15.9 (95% CI, 5.2-37.2) for non-Hodgkin’s lymphoma, and 4.4 (95% CI, 1.9-8.7) for brain cancer. Of note, the risk of developing lymphoid leukemia, myeloid leukemia, and non-Hodgkin’s lymphoma was persistently higher in children up to 5 years post pneumonia diagnosis, with higher than expected rates of non-Hodgkin’s lymphoma and brain cancer found in children beyond 5 years of follow-up. Researchers concluded that a hospital diagnosis of pneumonia is a rare form of an occult cancer presentation in children with an overall low cancer risk of 0.05% within 6 months and 0.14% within 5 years. The increased detection of cancer in this patient population may be due to imaging and laboratory test findings during the normal workup for pneumonia, or an initial misdiagnosis of mediastinal masses or cancers with lung involvement as pneumonia. However, these results do not support a change in the workup for hospitalized children diagnosed with pneumonia.